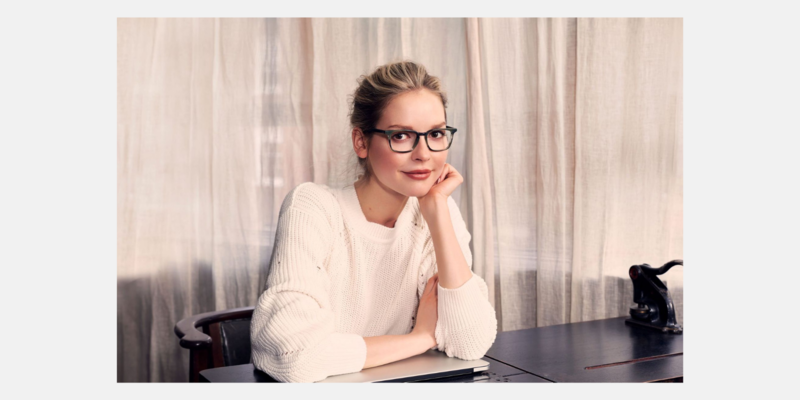 Felix Gray glasses are designed for healthier, happy eyes. Many of us spend countless hours every day staring at various screens. Whether at computers, tablets, or smartphones, these digit devices emit blue light that interferes with our natural sleep cycle and is known to create various problems with our vision in the long term. On top of that, looking at digital screens can cause eye strain, fatigue, irritation, dryness, blurriness, double vision, and headaches. All of these are symptoms of Digital Eye Strain, and most office workers have felt these affects at some point. Founders Chris Benedict and David Roger were no strangers to Digital Eye Strain and they were determined to do something about it. After months of research and invaluable feedback from their first beta testers, Felix Gray launched. The company manufactures on-trend, unisex frames with virtually clear lenses that do not distort or alter color perception or acuity while filtering out the harmful light from digital screens. 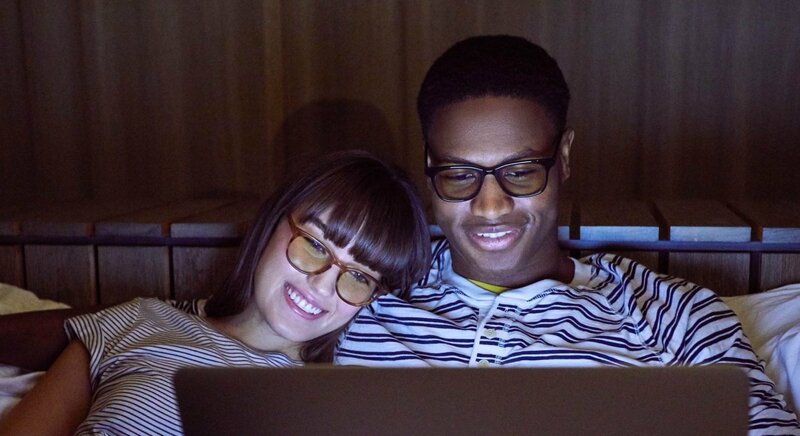 Since the online store launched in 2016, hundreds of thousands of glasses have been sold. Felix Grays are worn in the offices of companies like Apple, Spotify, and Google. Once Felix Gray developed their product, the obvious next step was selling it online via a dedicated store. 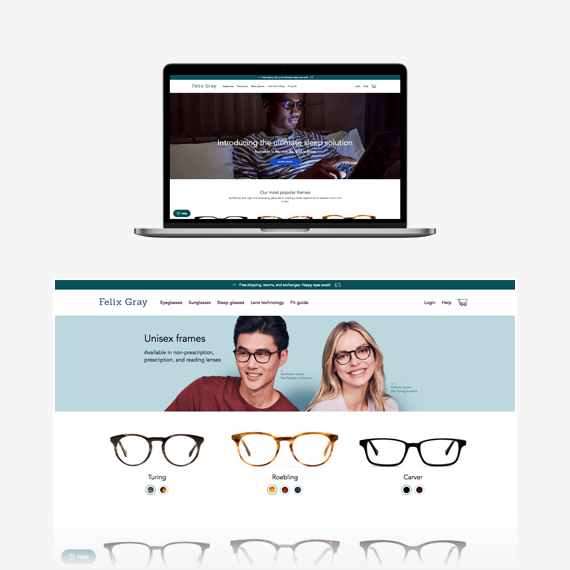 According to Houtan Fanisalek, Felix Gray’s CTO, there was no plug-and-play solution for eyewear in the eCommerce world. Spree was the perfect answer- it’s a robust, out-of-the-box solution that’s easy to build on, can be easily maintained, and is extremely customizable. Felix Gray turned to Spark Solutions because, alongside Spree, they believed the look and feel of shopping experience could be improved and updated. Once the Spark team began working, they realized that fixing front-end issues involved working on technical debt that had accumulated since the site’s launch. What was initially only a front-end job evolved into a revamp of the backend as well. Once sales took off, Felix Gray was not able to commit as much time to growing the business and thinking about new features as they wanted to. Once Spark stepped in and handled the code, Houtan could focus on growth and planning. The new implementation now makes it much easier to build new features without the added worry of creating technical debt that will have to be fixed later down the line, keeping maintenance costs down. With time, more and more Felix Gray customers asked about prescription lenses. 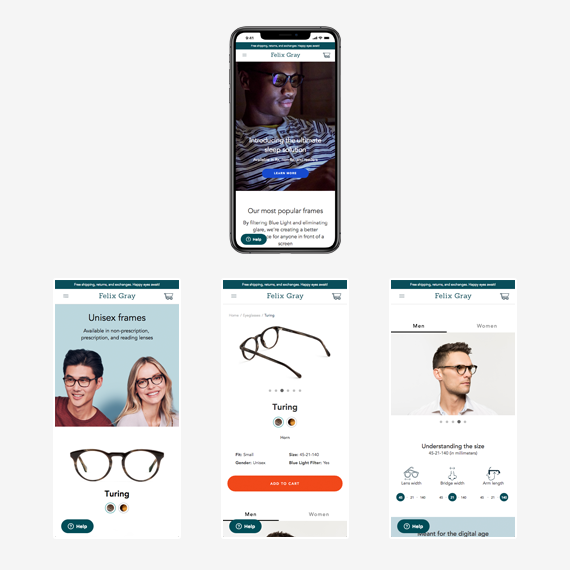 The obstacle is that the business does not have a brick and mortar store; rather, Felix Gray wanted to allow their customers to provide a prescription and order a pair of glasses from the comfort of their own home. The Spark Solutions team utilized the flexibility of Spree to implement a custom checkout. The first step involves uploading a prescription to the order, or requesting that a Felix Gray employee contacts them directly. The second step, however, is what absolutely stunned us. In order to measure the distance between the customer’s pupils, all they have to do is take a quick selfie with a credit card. Just as quickly, Spree processes the information, allowing Felix Gray to make the perfect glasses for each customer.